So what exactly is the D750 that Nikon announced today? Again, we’ve got the 24mp FX sensor at the heart, now running at a max of 6.5 fps. The camera has dual SD card slots in a body the size of the D610 that’s ever so slightly lighter. It appears that the D750 has the new D810 shutter/mirror mechanism, and it also shares the AF and metering systems with the D810. Video is still 1080P, with the same 24/25/30/50/60 frame rates, and most everything else shared with the D810/D4s. Yet what the D750 most closely resembles is a D610, only with built-in WiFi. And with some internal D810 parts. 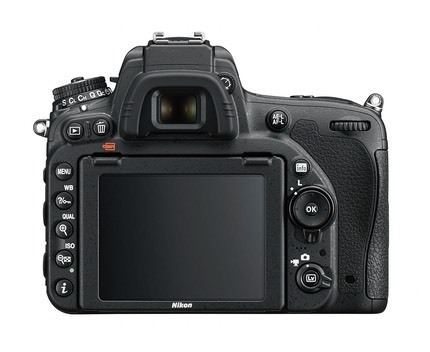 The body itself is similar to what Nikon did with the D5300: metal frame in back, carbon fiber front. That drops a few grams in the weight and simplifies the building compared to the pro bodies. We’ve got the usual consumer body parts and controls, including the two Custom settings on the Mode dial and no dedicated AF-On button, for example. Indeed, as I updated the data page for the D750, I found I was typing very little different than the D610. Given the US$2300 price, one has to once again wonder whether Nikon is just trying to put the D600 fiasco behind it with a bit of engineering and a lot of marketing. “Greater agility…compact, lightweight, and slim body.” Uh, no. Not unless the D610 had the same attributes. We lost only 10g and the overall body area is about the same. “Unchained, you’re now free from all restrictions.” Uh, no. 1/200 flash sync and 1/4000 top shutter speed seem like a restriction, as do a lot of other aspects of the camera. “Rapid, high-speed burst.” Uh, maybe, if 6.5 fps is considered high speed. Not to say there aren’t features that make this camera more desirable than a D610. The rear LCD gets some more dots and now tilts, the inclusion of the D810 autofocus system includes the new Group AF mode, the use of the EXPEED4 means we get the new Flat Picture Control and the Clarity control, video now has full manual exposure control, and we get the basic WiFi transmitter built in. What we end up with in Nikon’s FX lineup is now a jumbled mish-mash. D610, Df, D750, D810, D4s are the choices, but the clarity of why you’d pick one over another is mostly missing, though Nikon’s marketing rhetoric has ratcheted up to Full Gale Force. I think most Nikon loyalists would say that the Df and D750 have the wrong sensors (should be switched) and that the differentiations between the D610, D750, and D810 in particular are somewhat minimal and confusing. I have to compare what Nikon’s doing with FX versus what Sony did with the FE-mount cameras: A7s, A7, A7r. In Sony’s lineup, it’s a little more clear why you’d buy one camera versus the other. Moreover, it’s also clear in Sony’s lineup that you might buy two or more of the A7 models because they serve different purposes in your shooting. Sony actually needs to emphasize that a bit more (the A7s needs more frame rate speed and focus speed, for example, the A7r needs more to distinguish it as a studio/landscape camera), but they’ve got the basics clearly covered: someone buying into the A7 line can make a fairly clear choice as to which model to buy. So I just don’t get the product positioning. I’ll have more to say on this next week when I do some follow-up posts on the subject. That isn’t to say that Nikon won’t sell many D750’s. They should sell enough to make it worth their effort. But it’ll likely come at the expense of selling D610’s and D810’s, I think. But not for me. Having just used my D810 in Africa on safari in August, I have no real desire for fewer pixels at 1.5 fps faster speed. Indeed, by going to 1.2x crop I can very close to matching the D750 in pixel/frame rate combination. Still, there will be those that see the lower price, smaller file sizes, but otherwise mostly matching features as a reason to pop for a D750 instead of saving a bit longer for a D810. Will that be enough sales to justify the fifth FX camera, though? Clearly missing now is the gap from the D7100 to the D750 (the D610 and Df don’t really count as gap fillers, as the classic D300/D300s buyer is looking for something completely different than those cameras give them, the D610 is really being one-upped by the D750, and the Df is an odd-ball design). Given Canon’s announcement next week of the 7DMarkII, that gap is further exposed in Nikon’s lineup. Those of you paying attention will know that I shoot with the D7100/D810 combo these days. That’s what I brought to Africa this year. So I have a pretty strong opinion about “the gap.” The D7100 almost satisfies me. Where it falls down is in three respects: (1) buffer size, (2) body build quality, and (3) dedicated pro controls (banks, dedicated buttons, etc.). I’m sure some would say it’s a little short of fps, too, but I’m not hung up on the difference between 6 fps and 8 fps. For the life of me, I can’t understand how the management at Nikon justifies not following up one of their most successful cameras ever (the D300), while making a third attempt at low-end FX. Even the D300s is now 8-year old technology, yet we’ve seen zippo in terms of doing anything about that. Someone at Nikon thinks that a real pro DX camera would cut into their all-in FX strategy. I’m not convinced of that at all, especially given that Nikon’s FX strategy is a bit like a shotgun pattern to start with (i.e. not particularly targeted). More to the point, put a D300 followup into a more D4s-like body (integrated grip, bigger battery, better build, but still DX-sized not huge-hand FX sized) and sell it for US$2000-2500 and I don’t think there’s a problem at all: Nikon would either sell that D300 customer a US$2000-2500 replacement or a US$2000-3200 FX upgrade. Where’s the problem with that? Nikon seems a bit like a politician these days: they appear to be deciding direction based upon (poorly done) surveys. Gone is the thing that made them successful again in cameras (the original DSLR in the D1, iterated correctly), replaced with some sort of Japan-centric marketing paternalism that doesn’t exactly dial in the needs of the photographer community, though it does now use a lot of flowery adjectives. Now some—including those at Nikon headquarters—will point out that Nikon has managed, despite my criticisms, to remain one of the two profitable camera companies in the world. But that’s occurring with increasing friction that requires more brute force to keep going (flowery marketing language notwithstanding). Eventually that friction will exceed the force Nikon is capable of, and all hell will break lose. Moreover, I’d argue that Nikon is currently not as profitable as they could be. 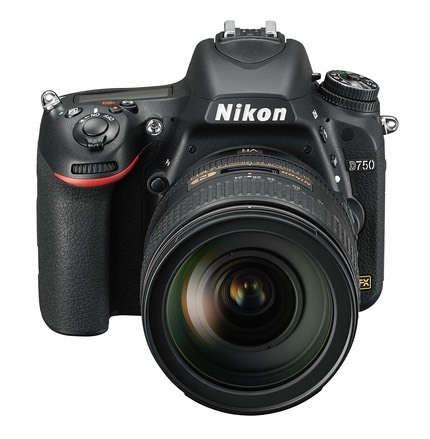 So I can’t judge a D750, even if it sells decently, as the product Nikon really needs right now. We’re 15 years into the DSLR era. We’re due for the next high-end camera era, but I see no evidence that it is about to happen. Moreover, regardless whether we’re stuck with DSLRs for the time being or a new era is about to happen, having a rationalized, understandable, well delineated lineup of product that requires less friction to sell would be more desirable than what we’ve got. That said, the D750 looks like a very competent camera. 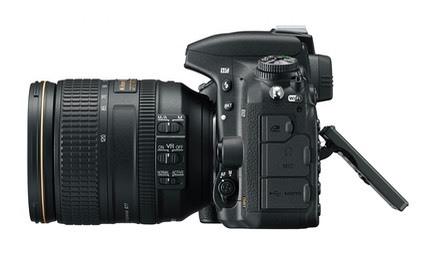 It may even have appeal to the D700 holdouts, though it doesn’t answer all their needs. It’ll sell decently for a short while. If the D810 didn’t exist, it would even be a candidate for best all around DSLR. But I expect better from Nikon. The genius that gave us the F2, F4, D1, D3, N90s, F100, and D300 seems to be missing at the moment. Instead we’re seeing more of the company that gave us the F5, N65, D2h, D80, and D4.